It’s time for this Celtic team to make history once again on Saturday when they take on Motherwell in the Scottish Cup final, knowing that if they win, they will be the first team ever to win the treble of Championship, Scottish Cup and Scottish League Cup in back-to-back seasons. The very fact that this has never been done before highlights the challenge that still awaits the Bhoys on Saturday. LIVE IN MICHAEL COLLINS, 1 RUE DU BAILLI - N.B. NOTE NEW VENUE !!! This is the fifth time this season that Celtic have come up against ‘Well, including the League Cup final last November. Moreover, two of those five meetings have ended in draws. So our opponents know Celtic well and will be confident that they can cause an upset. 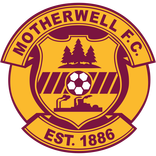 While Motherwell cannot match Celtic in terms of ability, they have the capacity to hold their own when it comes to scrapping and disrupting the opposition. So control of midfield will be critical for the Bhoys on Saturday. Here, it is essential that Scott Brown is fully fit as he is likely to encounter abrasive opponents in the form of Motherwell captain McHugh, who is top in the SPFL this season for aerial duels won and second when it comes to interceptions. He will be ably supported by Campbell who is amongst the top-ranked this season for tackles made. As the season has worn on, opponents have become more adept at knocking Celtic out of their stride and this will be Motherwell’s intention on Saturday. However, if there is one area where Celtic have got it together under Brendan Rodgers, it is the ability to up their performance in the games that really count. This is something the manager himself acknowledges, asserting that “when you win the treble, like we did last year, you're asking players to press that 10, 15 metres on the pitch and sometimes when you win, you can go a bit soft and you don't quite do that - but these players have given absolutely everything”. He emphasises that this will be “our 61st competitive game on Saturday and every game they've given their best shot”. He believes that his Bhoys can do it again on Saturday, asserting that "they had the right intent and we now have the chance to create more history". Things have gone Celtic’s way at fortuitous moments against Motherwell this season and if the Bhoys play at the top of their game, this run should certainly continue. So we look to Celtic to go to it one more time and bring this memorable season to a victorious and historic end. It will be party time at Celtic Park on Sunday as the Bhoys enjoy the fruits of their efforts over this long season with the presentation of the SPFL trophy for the seventh time in a row. However, before the party begins, there will be a match to play and Celtic will have a testing end to the season as it will be Aberdeen, our closest rivals in recent seasons, who will be the visitors on trophy day. Although Aberdeen have not proved such stern rivals this season, they will want to end their season on a high and will not be bothered at all if they are party crashers. So the Bhoys will have a stern opponent to see off one more time. It seems that Celtic will be without Odsonne Edouard for the Aberdeen game and for the Cup Final on Saturday, 19 May, after he went off injured against Hearts last Sunday. There is better news about Leigh Griffiths who has returned to training and is expected to be in the squad for Sunday. With Leigh being just two short of scoring 100 goals for Celtic, he will be raring to go and aiming to end the season on a high. While the result is academic, it would be fitting for the Bhoys to finish this successful SPFL campaign with a win. The Brussels CSC will be present in force at Celtic Park on Sunday to roar on the Bhoys to victory and to be part of the celebrations as the Championship trophy is presented. For those who are unable to travel, rest assured that the match will be shown in Michael Collins. We will then all get together again for the Cup Final on Saturday week – an opportunity for all the stories and photos from the latest Brussels CSC trip to Paradise to be shared. After retaining the title in glorious style last Sunday with the 5-0 demolition of the Rangers, the Bhoys make their Edinburgh lap of honour when they travel to Tynecastle to take on Hearts. HEARTS V CELTIC, SFPL, SUNDAY, 6 MAY, KICK-OFF 13H15, LIVE IN MICHAEL COLLINS, 1 RUE DU BAILLI - N.B. NOTE NEW VENUE !!! Having returned from a timely and well-earned warm weather training camp in Tenerife this week, the priority for Celtic is to maintain momentum with the Scottish Cup final just two weeks away while ensuring that no unnecessary risks are taken that could jeopardise the fitness of key players for the final. Given that the Tynecastle pitch is not in peak condition, this could lead Brendan Rodgers to rest regulars such as James Forrest and Kieran Tierney. For our hosts, the match is academic: the Jammers cannot improve on their current sixth place in the table. For Celtic, there is, of course, the matter of putting the record straight against the team that beat us in the corresponding match in the first half of the season and bringing to an end the Bhoys remarkable 69 game unbeaten run. However, that result is now academic and this is primarily an opportunity for Edinburgh-based Celts to have their day of celebration. With the Seven-In-A-Row title now safely in the bag, our thoughts already begin to turn to the new season. Sunday’s game is, in a way, the start of preparations for that! Despite the manipulations of the powers-that-be, the Bhoys have the opportunity to take on the Rangers on Sunday in the knowledge that victory will see them crowned champions once again, making it a Magnificent Seven-In-A-Row. ​LIVE IN MICHAEL COLLINS, 1 RUE DU BAILLI - N.B. NOTE NEW VENUE !!! With rumours swirling about who may take over as our opponents’ manager and the better qualified candidates quickly distancing themselves from taking on that unenviable task, morale cannot be high in the opposition camp. The Bhoys comprehensive 4-0 victory over the Rangers in the Scottish Cup semi-final just a fortnight ago shows the gulf between the two clubs. At the same time, the 0-0 draw between the sides in the corresponding match in the first half of the season shows that when the Rangers limit themselves to stopping their opponents from playing they can be quite effective at spoiling a party. But with the prize now so close, we expect the Bhoys to give their all on Sunday. James Forrest for one is up for it. “I am feeling really good and helping the team to beat Rangers would be up there”, he says, maintaining that “the boys have a lot of confidence”. He points out that “we have had a lot of big games this season and we just want to try and get this league wrapped up as quickly as we can”. At the same time, wee James is taking nothing for granted, acknowledging that “we know that Sunday is going to be a hard game and we are going to need to be at it right from the start”. The Rangers can certainly be expected to make more of a fight of it on Sunday than two weeks ago but this is a once-in-a-lifetime opportunity for Celtic to win the title against the Rangers at Paradise and we have every confidence that the Bhoys will deliver once again this season so the celebrations can begin! The Bhoys took a significant step towards the double-treble last Sunday with the 4-0 demolition of the Rangers in the Scottish Cup semi-final. On Saturday, they travel to Edinburgh to take on Hibs with the opportunity to wrap-up the second part of that treble. A win against the Hibbies will guarantee the Seven-In-A-Row Scottish Premiership title. After events at Hampden, it is certain that had the league tie against the Rangers been maintained for this coming weekend, it would have been a guaranteed title-winning three points for Celtic. However, the three points are not such a certainty against the ever-improving Hibs under Neil Lennon’s stewardship. Let’s not forget that in the corresponding match in the first half of the season, HIbs came very close to ending Celtic’s then 68-match domestic unbeaten run, with the match ending 2-2. Hibs are just three points behind Aberdeen and the Rangers in the table and still entertain ambitions of their own of finishing second in the league. Indeed, they have not lost in the league since Celtic’s 1-0 victory over them at Parkhead in January. So they will be giving their all to keep their run going on Saturday. With Champions’ League qualifying starting even earlier next season, the Bhoys are keen to get the title wrapped up as soon as possible so that key players can start to be rested. One Bhoy who has contributed magnificently for Celtic this season is Callum McGregor and he is not in the mood to delay the title celebrations, saying that “the boys want to get it done as quickly as possible and we have a big chance to do it on Saturday”. Asserting that there has been no let-up after last Sunday’s victory, he explains that “we’ve prepared well this week so hopefully we can finish the job and get the title done". More than that, he sees the Bhoys feeding off their success at Hampden, maintaining that “we’re excited and raring to go: off the back of a good result at the weekend, the confidence is high and we want to go and finish it off as quickly as possible". While the challenge faced is likely to be a lot stiffer than at Hampden last weekend, the momentum is with Celtic and, with Brendan Rodgers having a full-strength squad available, we can have strong expectations that the title will be wrapped up come Saturday! The Bhoys attention turns to the third part of the historic double-treble they are chasing when they head to Hampden on Sunday to take on the Rangers in the Scottish Cup semi-final. In the most recent meeting between the sides, Celtic’s class saw them win through but the defensive frailties that led to the concession of two goals that day will give our opponents hope ahead of Sunday’s clash. While Celtic have been on more than their fair share of upsets at Hampden in recent years, Brendan Rodgers enjoys a 100% record at the home of Scottish football since he arrived at Celtic. After a difficult period with injuries, the manager has a range of selection choices again for Sunday with Leigh Griffiths, Kieran Tierney, Patrick Roberts, Craig Gordon and Stuart Armstrong all fit again and up for the Cup. Cup semi-finals are one-off games where anything can happen. When our opponents are the Rangers, whose whole season rests on this game, a passionate atmosphere is guaranteed. It will be a day when cool heads will prevail and this is where we look to the Bhoys’ experience to see them through. Following the closure of the Old Oak, we will meet on Sunday to watch the game together in the Michael Collins bar, 1 Rue du Bailli, on the corner of Rue du Bailli and Avenue Louise. As long-standing members of the Brussels CSC will recall, we are going back to our roots as this bar was the home of the Brussels CSC for many years. Parking can normally be found on Avenue Louise. Michael Collins is also well-served by public transport. Tram no.81 is direct from the Brussels South rail station (Direction Montgomery, get off at Bailli stop) and from Montgomery metro station (get off at Bailli stop). From the city centre, take the metro (Line 1 or 5) to Parc station, change to Tram No. 93 and get off at Bailli stop. From Schuman metro station, take Bus No. 60 to Flagey stop, change to tram 81 (Direction Marius Renard and get off at Bailli stop). Michael Collins has been the scene of many Brussels CSC celebrations in the past and we look forward to another big one on Sunday. With the Bhoys just three wins away from clinching the Magnificent Seven-in-a-Row and the Cup semi-final just a week away, April will be a decisive month for Celtic. The action starts on Sunday when the Bhoys travel to New Douglas Park to take on a Hamilton side that is currently languishing close to the relegation zone. With an eye to the business to come later in the month, Brendan Rodgers has made clear that his selection will be influenced by the plastic playing surface at the Superseal stadium. Therefore, although the manager reports that Kieran Tierney is now back training and looking strong, he may not figure in the plans for Sunday because of the pitch. A very positive sign in midweek was the return of Craig Gordon after a two-month lay-off due to injury. The goalless draw on Wednesday was the Celtic goalstopper's 200th game - and his 100th clean sheet, which is quite a record. Looking ahead to the challenges of the month of April, Brendan Rodgers is clear about the task ahead. "We have to go into each game now and make it count", he says, adding that "we’re looking to get into the finish line as quick as we can". he acknowledges that “we’re getting towards the tail-end of the season where there have been so many games". "What is important now is that we have the freshness and the brightness in the team", he insists and emphasises that "we need that energy, quality and creativity in the game so hopefully we can maintain that to end of the season”. While the Bhoys have seen their momentum slowing in recent weeks, it remains the fact that they have only failed to score in three of their last 38 away league games. With Brendan having them clearly focussed on the rewards that are now close, we look forward to another three points on the board by Sunday mid-afternoon. Away victories against the two leaders of the chasing pack mean that Celtic need just five more wins to tie up the seven-in-a-row title. And, as they aim to wrap up the title as early as possible, the Bhoys are on the road again this weekend, travelling to Fir Park on Sunday to take on Motherwell. With Motherwell still very much in the shake-up for a top six position before the League split, they will not be in the mood to hand the points to Celtic. Indeed, on our last outing at Fir Park, it took a late Scott Sinclair penalty to earn Celtic a share of the points. That match did come in the middle of a tense run of three matches between the clubs when the players got to know each other up close, including, of course, the League Cup final victory for Celtic at Hampden. SOf course, on that occasion, Celtic were also embroiled in the Champions’ League campaign. This time round, the focus is solely on wrapping up the title. While his red card against the Rangers remains highly debatable, it does mean that Jozo Simunovic is suspended for Sunday’s match. Given that defensive frailty has been Celtic’s biggest weakness this season, it will be interesting to see how Brendan Rodgers decides to reorganise his forces at the back. With the Champions’ League qualification campaign 2018-9 starting even earlier than in past seasons, there is a certain urgency to bring the league campaign to a successful end as soon as possible. It is vital that key players get the necessary rest time between now and the beginning of July. So that makes victory on Sunday highly desirable. But victory should not be taken for granted against the determined Steelmen, who have enjoyed a return to form in recent weeks and believe they still have a score to settle against Celtic this season. So no time for a post-Sevco victory hangover! The Bhoys make the short trip to Mordor on Sunday to take on the Rangers – the first of three encounters between now and the end of the season. So Sunday’s clash will provide the ideal opportunity to show our class and set a trend for the remaining matches. It is true that our opponents have, by their limited standards, shown some consistency of late, winning nine out of their last ten games in League and Cup. However, they are depending largely on a bunch of loan signings from the lower divisions. More significantly, they have yet to notch an win against Brendan Rodgers’s Celtic. Indeed, in the two matches between the sides this season so far, they have failed even to score. And the Celtic manager is not inclined to let the record slip, acknowledging that “it will be a tough game for us at Ibrox, of course, but we'll get ready". He asserts that "we've got a lot of work to do and we'll need to perform better and more consistently in that game but we've gone there three times before and performed very well”. He also emphasises that "there's huge pressure on Rangers in the game but for us, we'll have a good working week and go into that game and work as well as we can". And he concludes that “we'll work some elements of where we can hurt them and prepare really well for that and go there with confidence”. With rumours circulating about just how bad the Rangers’ financial situation is, Sunday provides a perfect opportunity for the Bhoys to bag the three points that will ruin any wild dreams our opponents may have about the outcome at the end of the season! As of now, Celtic’s Scottish Cup quarter-final against Morton on Saturday goes ahead at Celtic Park. Although the weather conditions have put the fixture in doubt, the Bhoys will be keen to push on with the game, which represents an important milestone on the road to the treble. Brendan Rodgers, however, is uncompromising in his attitude to the Cup tie. “The games at this stage of the season aren't for fitness”, he insists, ”they're for winning”. He acknowledges that “Morton will provide a big test for us - we have to play with the right intensity and tempo and we look from the first whistle to impose our style and aggression on the game: it will be a really difficult game for us". He emphasises that “these are games that really matter” and concludes by pointing out “this team has coped with the pressure really well". The main pressure on Saturday will come from being overwhelming favourites. In front of the Faithful, we look to the Bhoys to run out convincing winners. With matches coming up over the next couple of weeks against the leaders of the chasing pack, Celtic have the opportunity to effectively wrap up the title by the end of March. The first of these important matches is on Sunday when the Bhoys travel to Pittodrie to take on joint-second placed Aberdeen. Aberdeen have been Celtic’s closest rivals for the SPFL title for the last three seasons. However, since Brendan Rodgers’s arrival, Celtic have won eight games in a row against the Dons, including both of last season’s cup finals. However, there is a real possibility that this could change on Sunday. Aberdeen are unbeaten in their last five games at Pittodrie. At the same time, Celtic’s injury woes continue with Patrick Roberts, Stuart Armstrong, Craig Gordon and Leigh Griffiths among those who are being badly missed at the moment. In addition, while Martin Compper is on his way back to fitness, it is questionable if he will make it for Sunday. Certainly, the Bhoys will need to put a better performance than last Sunday against St. Johnstone in order to keep the manager’s record against the Sheep intact. However, this weekend, there is, unfortunately, no distraction of European football in the background. So the expectation must now be that the Bhoys will focus on completing the job of making it 7-in-a-row as soon as possible. Celtic travel to St. Petersburg for the second leg of their Europa League Round of 32 tie against Zenit on Thursday night. The Bhoys will be defending and seeking to build on their 1-0 advantage following a dynamic performance in the first leg that pressured our opponents throughout and limited them to only a few chances. An even more determined performance will be needed under the closed roof of the Krestovsky Stadium. Brendan Rodgers’s options remain constrained by injury with Marvin Compper, Dedryck Boyata, Stuart Armstrong, Paddy Roberts, Jonny Hayes and Leigh Griffiths all sidelined, along with Craig Gordon. In this regard, it was good to see Tom Rogic back in the team at the weekend after his long lay-off. HIs ability to create opportunities may well be needed on Thursday. Positive news also is that Mikael Lustig and Olivier Ntcham, who were doubtful, have both been declared fit and are in the squad. Kristoffer Ajer, who played such an important part at the back in the first leg, believes that Celtic can build on their performance a week ago. The young Norwegian Bhoy emphasises that “the positive is we’ve shown them we can defend even if they put us under pressure”. He insists that “we’re travelling there with the aim of going through”. At the same time, he stresses that “we’ll go there focused - the key is thinking it’s still 0-0 knowing we still have to perform to our best levels again”. He predicts that “if we do that, we have a great chance”. Zenit manager Mancini is apparently so confident of the result on Thursday that the squad spent four days in Italy on the way back from Glasgow. With the rumour mill alive with stories that Mancini is eyeing a permanent stay in Italy, can Celtic capitalise on uncertainty in the Zenit camp? The Bhoys face a huge challenge on Thursday but if they can reproduce their form of a week ago, they have the possibility of pulling off a major upset that would immediately raise our standing in Europe. COME ON THE BHOYS IN EUROPE! For the first time since 2013, knock-out European action returns to Celtic Park on Thursday night when Zenit St. Petersburg are the visitors for this Round of Thirty-Two match in the Europa League. While most of us remember the UEFA Cup (as it was then called) final ten years ago as another night of shame in the demise of Rangers FC as their so-called fans ran riot in Manchester, we tend to forget that it was also the most famous night in the history of Zenit St. Petersburg who were deserving winners of the UEFA Cup that night. So, we welcome top pedigree European opposition to Celtic Park on Thursday. As the seeded team in this encounter, Zenit will be favourites. They topped their Europa League group, winning five and drawing one game and scoring 17 goals along the way. Against that, they come into this game off the back of the Russian league winter break. Although they have played a series of friendlies, most recently beating Maribor 3-0, they do lack competitive match fitness. This is what Celtic’s match plan must seek to exploit. In this regard, Celtic Assistant Manager Chris Davies has done an extensive analysis of our opponents, their strengths and weaknesses. He stresses that “they are individually and collectively a top team – a Champions League-level team with quality”. He emphasises that “with the quality they have, they’re good in possession but also good on the counter-attack and can be a threat on set-plays”. He also acknowledges their European record this season, pointing out that “they were the top scorers in the Europa League, scoring nearly three goals a game and conceding less than one on average”. Having sized up the opposition in detail, he concludes that “we respect them but we also see it as an opportunity and we’re going to hopefully take a lot of positivity and energy into the game and see what happens”. Critical for Celtic will be how they manage their depleted resources, with players injured in key positions. In defence, Dedryck Boyata is still out with a groin injury and Martin Compper is both injured and ineligible. In midfield, Patrick Roberts remains out as are Stuart Armstrong and Jonny Hayes, while Tom Rogic still lacks match fitness after his long lay-off. Up front, Leigh Griffiths is unavailable due to a continuing calf injury. While Zenit have fewer injury problems, they will be without key defender Ivanovic. While Celtic’s recent performances have been tentative, let’s hope that the big game atmosphere at Paradise on Thursday will inspire the Bhoys to produce the kind of performance to make it another European night to remember. With their 5-0 demolition of Brechin in the Cup on Saturday the Bhoys demonstrated that they have returned from the winter break with renewed hunger for goals. Now the focus turns to the SPFL on Tuesday when they travel to Firhill to take on Partick Thistle, who, incidentally, will also be our next opponents in the Cup. Languishing second from bottom in the SPFL and in a fight for SPFL survival, Partick can be expected to battle hard for the points. Having beaten bottom club Ross County in their last SPFL outing and Queen of the South in the Cup at the weekend, our Glasgow rivals will be keen to keep up their momentum. At the same time, Partick have the most inferior goal difference in the SPFL this season so the Bhoys goal-scoring power should be too much for the shaky home defence. One Bhoy who is scoring more goals than ever this season is James Forrest. He acknowledges that “I am pleased with the goals because that is something that I had spoken to the manager about at the start of the season”. He asserts that “to be scoring so often is good, but I don’t want to stop now; I want to kick on and keep working hard and, hopefully, I can get the rewards”. Looking ahead to Tuesday evening’s game, he acknowledges that “Thistle are usually pretty well organised and they will look to make it as awkward as possible for us”. For him, Celtic’s approach is clear, saying that “you always know that you have to be ready to go and stick to your own game and if we do that then, hopefully, we can pick up the three points”. Three points on Tuesday will be a solid start to the second half of the league campaign for Celtic. Before heading into the winter break, the Bhoys have some important business to take care of, culminating in putting the Rangers back in their box when they come to Celtic Park for the traditional end-of-year fixture. Apart from the satisfaction that victory over the Rangers always brings, this match has extra significance in terms of Celtic’s overall season. Brendan Rodgers set his players three challenges for the first half of the season “win the League Cup, qualify for the Europa League and have double-figure advantage by the time we arrive into the winter break”. With the first two already achieved, there is still some work to be done over the holiday season to accomplish the third, including victory over the Rangers. After the 2-0 victory over Partick in midweek, the Bhoys are five points clear at the top of the table. With the Europa League knock-out stages kicking off in February, this is a critical stage in the season to push on and secure the strongest possible position domestically before the pressures of European competition kick-in again. Celtic have already dropped more points this season than they did in the whole of the last campaign. So a consistent run of victories will be important. 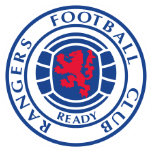 While games against the Rangers do not pose the same level of challenge as the Old Firm games of old, there is still an element of unpredictability about games of this nature. So we look forward to a strong Celtic performance before the Bhoys head off to Dubai for their winter camp. In the meantime, let me wish all Brussels CSC members and their families a very hoopy Christmas and a trophy-filled 2018. The Bhoys return to Edinburgh for the second time in a week when they travel to Tynecastle to take on Hearts as they seek to make it 70 domestic games unbeaten under Brendan Rodgers. 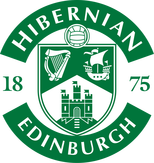 Having let a two-goal lead slip in the 2-2 draw against the Hibbies last weekend, a better result will be expected against a Jammers’ side likely to be depleted, with up to seven first-team regulars missing the game through injury. With Sunday being the Bhoys fifth game since the beginning of December, the biggest threat to continuing the record run may be their busy schedule at a time of year when the state of pitches can be unpredictable. At the same time, Brendan Rodgers rotated his squad for the midweek 3-1 victory over Hamilton so the returning Bhoys should all be fresh for Sunday. In any case, as Nir Bitton makes clear, pressure of games is not an issue for this Celtic team. He acknowledges that ”we have a busy schedule but we are all ready for it and looking forward to the next game”. He accepts that “it’s a long season and we just need to be focused and look at the next game - we need to do the same things that we have being doing”. He concludes that “we’ll concentrate on staying focused and give 100 per cent for every game”. In contrast to our opponents, the good news out of Celtic Park ahead of the trip to Edinburgh is that there are no new injury worries. With Celtic unbeaten against Hearts in eighteen games, there is no reason why the Bhoys long run should come to an end on Sunday. It’s objective achieved for the Bhoys as we look forward to European football in the new year for the first time in some years. There is a lot of anticipation in the air ahead of the draw for the last-32 round of the Europa League on Monday. However, between now and the return of European football in February, the objective must be to push on and add to our seven point lead at the top of the SPFL table so that the domestic title is effectively in the bag ahead of the challenge of knock-out European football. The Bhoys are likely to face a stern test in that regard on Sunday when they travel to Easter Road to take on Neil Lennon’s Hibbies. The two matches between the sides so far this season have certainly been competitive affairs. The visitors pushed the Bhoys hard in the 2-2 draw in the SPFL at Celtic Park in September and the meeting between the sides at Hampden Park in the League Cup semi-final was tight before Celtic pulled away to win 4-2. Buoyed up by his side’s performances in those two games and on the back of their victory last weekend away at Partick, Neil Lennon will no doubt have his players primed to give it all in front of their own fans. Although qualification for the Europa League was achieved, the Celtic performance against Anderlecht fell short of expectations so the Bhoys will be expected to bounce back with a convincing performance on Sunday. Olivier Ntcham and Tom Rogic made a difference when they came on as substitutes on Tuesday night so it will be interesting to see if Brendan Rodgers sticks with them and what other changes he makes. Apart from longer-term injured Bhoys Patrick Roberts and Anthony Ralston, there are no fresh injury concerns in the Celtic camp ahead of the trip to Edinburgh. The points will not be surrendered easily by the home side on Sunday but we look forward to the Bhoys putting their European travails behind them and doing all that is needed to keep their unbeaten domestic run going. The Bhoys destiny is in their own hands on Tuesday night when Anderlecht come to Celtic Park. If Celtic avoid defeat by more than three goals, they will qualify for the knock-out stages of the Europa League and so take their European campaign into the new year. Their historic and memorable 3-0 victory here in Brussels in September puts the Bhoys in a strong position but Anderlecht have improved significantly since then and are likely to pose their own threat on Tuesday. They go into the match with nothing to lose. Brendan Rodgers takes a measured approach, knowing what needs to be done. “For us it’s 0-0”, he says. He emphasises that “we want to win the game: we’ll be tactically prepared and look to put on a performance”, maintaining that “we know if we can do that then it will equate to a good result for us”. Positive news ahead of the game is that Moussa Dembele is fit again, having missed the last two games with an injury picked up in the League Cup final victory. And with our other young French Bhoy, Odsonne Edouard, having scored his first hat-trick for the club against Motherwell at the weekend, the manager has a range of options up-front. Celtic have shown glimpses of their future potential in Europe and Tuesday night provides the opportunity to end this Champions’ League campaign on a high by securing their first home win. This is certainly how Callum McGregor sees it, insisting that “it's a single game and our mind-set is to win the game and play attacking football”. He is clear that "we've prepared properly and we need to stamp our authority on the game, not just sit back and defend that three-goal lead”. He concludes that "we have to play our own game, that's when we're at our best. It's important for us to take the game to them". Qualification for the Europa League was the target at the start of this European campaign. Come Tuesday night, we expect to be celebrating that target achieved! C’MON THE BHOYS IN EUROPE! On Sunday, the Bhoys have the opportunity to retain the League Cup they won so convincingly against Aberdeen last season. And victory for the Bhoys would make Brendan Rodgers the first Celtic manager to retain this trophy since the legendary Jock Stein way back in the 1969-70 season. This also illustrates the challenge involved in retaining a Cup trophy where every game is a one-off opportunity. Motherwell will go into the game with nothing to lose, While the sides have never met before in the League Cup final, Celtic have been victorious in all four previous Scottish Cup finals between the clubs. The Steelmen have lived up to their nickname so far this season, gaining a reputation as a tough and uncompromising side. Our opponents’ reputation does not phase young Kieran Tierney who says that “they are a strong, physical team but we have shown over the past season and a bit we can stand up to different challenges”. He is looking forward to Sunday’s game, acknowledging that “we know they are an in-form team - you don’t go up to Aberdeen and beat them 2-0 if you are not a good side”. He concludes that “they will be going in fresh and really confident and we know it will be a tough game”. So far, Celtic under Brendan Rodgers have responded well after European games and will not need any further incentive with the first silverware of the season to be claimed on Sunday. Kieran Tierney certainly bears this out, saying “you need to put the negatives away and think positive - we have to learn from it and as players you will have bad days: it is part of the job and Sunday is all about bouncing back”. Ahead of the match, Mikael Lustig is doubtful, having limped off in Paris and Nir Bitton is also undergoing treatment. Celtic’s 64-game unbeaten domestic run began with the defeat of Motherwell in May 2016. It better not end against the same opposition on Sunday. Celtic travel to Paris to take on a PSG team aiming to complete the job of winning Group B. For Celtic, the encounter provides an opportunity to assess how the Bhoys have adapted to European competition at this level since the opening Group match at Celtic Park. Having scored 17 goals without reply in their first four Group matches, PSG still have the possibility of being the first team to go through the Group stages without conceding a goal. So if Celtic could burst their bubble in that regard, it would already be an achievement. It is a significant boost, therefore, to have Moussa Dembele available and match fit. Apart from his class in front of goal, the young French Bhoy will also be important in holding up the ball. Having come through the PSG academy system, putting in a good performance will be a matter of pride for him. Patrick Roberts is still unavailable while he recovers from injury and, although he was on the bench at the weekend, it is unlikely that Jozo Simunovic has recovered match fitness sufficiently to be pitted against Neymar and co.
For PSG , Motta will be missing from their star-studded line-up through injury. With an eye to Europa League action later in the season, the challenge for Celtic is to avoid basic mistakes that are punished by teams at this level, to remain compact so that they force PSG to fight for the space to mount attacks and to take advantage of any opportunity that comes their way on the break. Celtic have nothing to lose on Wednesday night and so we look to a battling performance from the Bhoys that augurs well for European challenges ahead. Celtic head north to Dingwall on Saturday at the start of one of those crunch weeks that inevitably crop up during a season for successful teams. After Ross County, it is on to Paris in the Champions’ League and then to Hampden for the first cup final of the season. After the international break, the trip to Ross County will provide an opportunity for the Bhoys to get back in the groove before the further challenges of the week ahead. One Bhoy who is raring to go is Moussa Dembele. Fresh from his 12-minute hat-trick for the French under-21s in midweek, he will be looking to build on the six goals he has already scored for Celtic this season despite missing the opening part of the campaign. With Leigh Griffiths nursing a calf injury, the young French Bhoy can be expected to lead the attack on Saturday. Ross County currently lie eighth in the table but since the arrival of Owen Coyle as manager, the Staggies are unbeaten and have won their last three home games by the odd goal. So they will look to take the fight to Celtic. And that is just the kind of challenge the Bhoys need ahead of the important business coming up! Celtic head to Perth on Saturday to take on St. Johnstone as they aim to make it 63 domestic games unbeaten and close in on a UK record. At the same time, St. Johnstone were the last Scottish club to beat Celtic and so will be looking to make a their own bit of history. The Bhoys really did leave everything on the park on Tuesday night in their impressive performance against Bayern Munich. Given that the St. Johnstone have gone five games without a win or even scoring a goal, the only concern for Celtic ahead of the game is whether the Bhoys have recovered sufficiently from their midweek exertions. So far this season, Brendan Rodgers has marshalled his forces effectively after European ties and he will , no doubt, be considering some squad rotation for Saturday. The Celtic manager’s options are somewhat limited with Jozo Simunovic, Patrick Roberts, Anthony Ralston and Erik Sviatchenko all still on the injury list. Good news is that there appear to be no new injury worries in the wake of Tuesday’s Champions’ League clash. And our opponents go into the game depleted, with five first team regulars on the injured list. For this Celtic team, Saturday’s should be a routine encounter and we look forward to that being the case and to the Bhoys marching on unbeaten. Bayern Munich are the visitors on Tuesday in another night of top European football at Celtic Park. After their defeat in the corresponding away fixture, the Bhoys will be looking to put up a stronger performance in front of the Paradise faithful as they continue their European campaign. The statistics point to the challenge that faces Celtic. In their three meetings to date in the competition, Bayern have never lost to Celtic, while Celtic have never beaten German opposition at this level in Europe. In this year’s Champions’ League, Bayern have had most shots on goal, 71, while Celtic have had the fewest, 24. However, statistics are there to be proved wrong. And Dedryck Boyata for one, is aware of that. Reflecting on the result in Bayern, he accepts that "we know that over there we didn't actually play the game that we wanted to play.” He believes it can be different come Tuesday, observing that "tomorrow we have the chance to do it in front of our fans - it's a big opportunity for all the players.” He is frank about Celtic’s chances, saying "let's be honest, we've got nothing to lose; we're playing against one of the biggest teams in Europe - of course it will be difficult: we just need to be on top of our game.” He concludes on an upbeat note, asserting that "we're playing at home; we've got three games left, two at home, one away; we know that anything can happen.". If there is such a time, now could be a good moment to take on Bayern. At the weekend, Lewandowski was added to the visitors’ growing injury list that already includes Bernat, Neuer, Muller and Ribery. But Bayern still remain formidable with many sources of threat from Rodriguez, Coman and Kimmich, for example. For Celtic, good news is that Olivier Nitcham is fit again, although Patrick Roberts, who went off with a hamstring injury at the weekend, will be missed. This week, Brendan Rodgers expressed his hope that ”somewhere very soon we can produce a big result”. Who’s to say that the big result cannot come this Halloween! The Bhoys dug deep on Saturday to overcome Hibernian in the Scottish League Cup semi-final and their gruelling week continues on Wednesday evening when they travel to Pittodrie to take on Aberdeen. Once again this season, the Dons are proving Celtic’s closest challengers in the league and the two sides are currently tied on 23 points. While Celtic have played two tough games already this week, our opponents have been able to rest. How this will affect the two sides on Wednesday remains to be seen. In any case, Celtic ‘keeper Craig Gordon is under no illusions about the challenge that faces Celtic at Pittodrie, remarking that “they are undefeated in the league and it will be a very difficult challenge”. He acknowledges that “it’s a big game, and one in which we know we’ll have to go there and scrap and fight for the right to play and try to win the game”. He concludes that “it’s always a difficult place to go, especially with them being up there level on points with us: that gives them an added incentive to stay there, but we will be going there to win”. One of Aberdeen’s stars this season has been Celtic loanee Ryan Christie and it will be interesting to see how his absence for contractual reasons will affect the home team. For Celtic, one of the positives from the victory over Hibernian in the League Cup semi-final was the performance of Moussa Dembele when he came on as a substitute. His contribution and his two goals allowed Celtic to reassert their authority at an important point in the match. And the player himself is now confident that he is back to fitness, explaining that “I am ready as soon as the manager needs me on the pitch; I am fit to deliver what I produced last season”. Let’s hope we see more of the same from Moussa on Wednesday! It’s one of those times of the season when the big games come thick and fast for Celtic. Less than 72 hours after playing Bayern Munich in the Allianz stadium, the Bhoys head to Hampden Park on Saturday to take on Hibernian in the Scottish League Cup semi-final. It is not often that Brendan Rodgers expresses unhappiness with what faces him but he is not pleased that the Cup semi-final is being played on Saturday rather than Sunday. “ I’m very surprised,” the Celtic manager commented. “I assumed, which was maybe a mistake of mine, that common sense would come into it and that the team who were playing in a high level game in Germany on the Wednesday night would play on the Sunday instead of an early kick-off on a Saturday” he explained. He observed that “they could have been kinder to us but we get on with it”. Mind games may well have something to with Brendan’s concluding comment that “I am sure Neil Lennon will be delighted because it can make a huge difference”. And, indeed, Lennie is happy with the situation in which Celtic have been put. He acknowledges that ”any advantage we can take from it, we will have to”. Speaking from experience, he observes that “they’ll only have a day and a half to recover and the mental and physical approach, it’s really difficult, sub-consciously you are up there with Champions’ League and then you dip; then you’ve got to try and pick yourself up again”. So far, Brendan has proved very effective at getting his team up for it again quickly after a tough European encounter and we have confidence that he will do so again this time. One motivating factor will be that the Hibbies have come closer than any team to beating Celtic this season, with Celtic snatching a draw last month thanks to a brace from Callum McGregor. So the Bhoys will be well warned of the challenge they face. Indeed Callum McGregor believes that maintaining their long-running unbeaten record domestically also drives the Bhoys on. “Going into the game you don't think about it too much," he explains. "Every game is a tough game when you are playing for Celtic but when you go down or are level you can sense that we don't want this to slip”, he says, maintaining that "it galvanises the players a wee bit, to give that wee bit extra to make sure the run doesn't go”. Perhaps the biggest concern for Celtic going into the Hampden game is that Jozo Simunovic and Erik Sviatchenko remain unavailable due to injury. The Bhoys will be keen to bounce back quickly after Wednesday so Lennie and the Hibbies might get more than they bargained for on Saturday. If so, we can be confident that Celtic will take another important step towards their first silverware of this season. After their crushing 0-3 defeat of Anderlecht here three weeks ago, the challenge for Celtic is even greater on Wednesday evening when they travel to the Allianz Arena to take on reigning German champions and five times Champions’ League winners Bayern Munich. Bayern have had a slow start to the season, falling off the pace in the Bundesliga and losing 0-3 to Paris Saint-Germain in their last Champions’ League outing. However, the return of Jupp Heynckes as manager following the Champions’ League defeat has steadied the team and they go into Wednesday night’s match on the back of a 5-0 victory over Freiburg at the weekend. Bayern do have injury problems at present, with goalkeeper Neuer and winger Ribery definitely out of Wednesday’s game and Martinez, Vidal and Bernat all in a race to be fit. However, with stalwarts like Muller, Hummels, Robben and Boateng available, ably supported by Coman, Alcantara and Rodriguez, the Bhoys will still face the aristocracy of European football on Wednesday. It is hoped that Scott Brown will be fit to play as there are doubts about Jozo Simunovic and Stuart Armstrong, who also missed Saturday’s 1-0 victory over Dundee. Celtic’s victory over Anderlecht puts them in a positive position as regards continuing European football into the new year and if they can secure anything on Wednesday, it will be a significan achievement and a further boost to the Bhoys’ growing European renaissance. So, fresh from their convincing victory over our Glasgow rivals on Saturday, the Bhoys are now fully focused on their visit to Brussels to take on Anderlecht. It was positive to see Jozo Simunovic and Dedryck Boyata fit again and leading the defence on Saturday and Moussa Dembele making a welcome return off the bench. However, Brendan Rodgers is giving nothing away as to whether out talismanic striker will start on Wednesday. Having made a very poor start to the season, Anderlecht have shown some signs of revival in winning their last two matches under caretaker coach, Frutos, and indeed showed some fighting spirit in coming from behind to win 2-1 at Waasland-Beveren at the weekend. And, despite poor recent form, the opposition should not be underestimated. Attacking midfielder Stancic, signed from Steaua Bucharest in the summer is a seasoned Champions’ League campaigner and showed his form in scoring the opening goal at the weekend. Nigerian international, Onyekuru, on loan from Everton, is proving an effective impact substitute, having scored four goals, despite having come off the bench in his last three games. Polish international Teodorczyk, is an injury doubt for Anderlecht and whether he plays could be significant, as he scored 22 goals last season. Give the way the group is shaping up, if Celtic can take something from this game in Brussels, it will be a significant step towards European football after the New Year. So we will be rooting for Celtic to continue their recent improvement in away form in Europe and to return from Brussels with at least a point. On Saturday, the serious business of the domestic season gets underway when the Bhoys travel across Glasgow to play the Rangers for the first time in this campaign. Although Celtic are already five points ahead of Glasgow’s newest team, derby matches tend to throw up the unexpected and with the first bragging rights of the new season at stake, it promises to be a tense affair on Saturday. So the positive news ahead of the game is that Celtic’s recent absentees through injury are expected to be fit and available to play. Dedryck Boyata made a welcome first appearance of the season in the midweek 0-4 defeat of Dundee in the League Cup and is ready to go again on Saturday. Jozo Simunovic, who missed the midweek game due to a knee problem, has also recovered. So Celtic will have a reinforced defence at Ibrox. Very positive also is that Brendan Rodgers has confirmed Moussa Dembele will make his long-awaited return following injury on Saturday. While Celtic go into the game with a relatively settled squad, the Rangers have undergone a lot of change during the close season, with a number of new players coming in for whom this will be their first experience of a derby match in Glasgow. Among these is 20-year old striker Alfredo Morelos, who has scored eight goals so far but has also picked up three yellow cards. An important dimension of the game will be how these new arrivals at the Rangers, like Morelos cope with the occasion. However, Brendan Rodgers is clear about how the Bhoys are approaching the game, saying “we concentrate on ourselves”. In that regard, the Celtic boss is in positive mood, emphasising that “they’re all really special games and they’re games myself and the players always look forward to”. He points out that “we started the season domestically very well - it’s been a great start for us, defensively we are very strong”. And he also stresses that “we know we can go anywhere and score goals and that’s always important when you’re going away into these kinds of games”. He concludes that “the speed of our team, the movement, the co-ordination and the attack is very good so we’re hoping we can take that into this game”. Our opponents may not be the club they once were, but victory in these games is still sweet so we count on the Bhoys to demonstrate once again their supremacy in Glasgow on Saturday. On Tuesday, the Bhoys proudly and deservedly take their place on the highest stage of European club football for the second year in a row. And we welcome the aristocracy of European football to Celtic Park, with the Bhoys opening their Champions’ League campaign against Paris Saint-Germain. Already the bookies have our opponents among the favourites to win the Champions’ League this season after their spending spree this summer. And, indeed, on paper, the visitors do look formidable with Cavani, who has scored seven goals in five games and Neymar, with four goals in four games, now reinforced by the arrival of Mbeppe, who scored on his debut at the weekend. But this is the kind of challenge that Celtic teams relish, roared on by the faithful at Paradise. And certainly Brendan Rodgers will have his Bhoys up for it. Patrick Roberts expresses the mood in the Celtic camp clearly when he points out that “the first game is at Celtic Park, which is important for us”. He insists that “if we can get the fans behind us, then we can hurt them with our counter-attacks - and with our speed”. He points out that “we have some real firepower with the new lad Odsonne Edouard coming in and Leigh Griffiths”. He concludes by emphasising that “we shouldn't be underestimated". And speaking of new Bhoy Odsonne Edouard, who scored on his debut against Hamilton on Friday night, he concurs fully with Patrick Roberts. Reflecting on the prospect of playing against his old club, he is determined, saying “it's not a problem, I'm a football player and I'm here to score goals: if I can score, I'll score”. This is the kind of Bhoy we like! Good news for Celtic is that Leigh Griffiths is fit to play. However the match has come too soon for Moussa Dembele who, although back training, is not yet match fit. More worrying in a way is that Dedryck Boyata has also failed in his race to be fit. So we rely on Jozo Simunovic, fresh from signing a new contract, to hold firm at the back. Building on the experience gained in last year’s competition, Celtic will go into Wednesday night’s opener well aware of what they need to do. As Brendan Rodgers himself sums it up, PSG “have to feel us breathing very close to them”. Already we have one eye on next Tuesday’s Champions’ League opening match against Paris St. Germain but before that the Bhoys travel to Hamilton to take on the Academicals on Friday evening. With Aberdeen having overtaken Celtic at the top of the SPFL table, a win on Friday will be desirable and a welcome boost after the international break and ahead of the European business getting underway. Hamilton are currently fourth in the SPFL table on the back of a good run of form recently that has seen them win two and draw one in their last three games. For Celtic, there is concern about Leigh Griffiths, who sustained a calf injury playing for Scotland against Malta. The player himself is confident of being fit but manager Brendan Rodgers may rest him ahead of the Champions’ League clash. This may provide the opportunity for new Bhoy, Odsonne Edouard, signed on loan from PSG last week, to make his debut. 25/08/2012 : CELTIC ARE COMING TO BRUSSELS IN CHAMPIONS' LEAGUE ! In the Group stage of the Champions’ League, Celtic will play Anderlecht, Bayern Munich and Paris St. Germain. This is the first time Celtic have come to Brussels in the Champions’ League since the 2003-4 season. ​Indeed, in that season, we also played Bayern in the Group stage and another French side, Lyon. Some great matches are promised. Details of the match schedule will follow. thanks to the Bhoys’ 5-0 demolition of Astana in the first leg, we can look forward to the second leg in Kazakhstan confident that Celtic will complete the job and be the first team to qualify for Thursday’s draw for the Group stage of the competition. At the same time, playing on a plastic pitch in an unfamiliar time zone and, in Pavel Krabova, with a referee who has been in the middle for two of Celtic’s recent bad away-leg play-off memories (versus Karagandy and Maribor), the 90+ minutes on Tuesday will need to managed efficiently by Celtic. Scott Sinclair, scourge of the Astana defence in the first leg and scorer of two goals, acknowledges that there is still a football game to play. “Having that 5-0 cushion, you can get complacent”, he recognises. “But that’s where we stay mentally strong and focus on the game in hand and get the job done”, he insists. “Naturally, there’s not so much pressure because of the lead, but when we go out there, we can’t concede. We’ll keep calm and play our normal game and make sure we go out there to win it, as well”, he asserts. Looking at Celtic’s opponents, he adds that “in their minds, I’m sure they’ve got nothing to lose: they’re going to come at us and I can’t see them sitting in because there would be no point in that”. He concludes, therefore that “they’re going to be attacking us just as much as we’ll be attacking them, so I’m sure it’ll be an open game”. Indeed, the ideal scenario on Tuesday is for the Bhoys to bag an early goal. Then we will certainly be able to sit back and celebrate qualification for the Champions’ League for the second year in a row. After crushing Astana in the Champions’ League play-off first leg on Wednesday evening, it’s back to domestic business on Saturday, with the Bhoys travelling to Rugby Park to take on Kilmarnock in the early kick-off. Good news ahead of the game is that Tom Rogic has recovered from the head knock he suffered during the Astana match and is available to play. Jonny Hayes, who missed the Astana game through illness has also recovered. Moussa Dembele, Erik Sviatchenko and Dedryck Boyata all remain on the injured list. With the team due to start the long journey to Kazakhstan on Sunday morning, Brendan Rodgers may opt to rotate his squad. Just ten days ago, Celtic defeated Killie 5-0 at Celtic Park in the League Cup, with young Bhoys like Anthony Ralston stepping in quite effectively. While Killie will look to put up a stronger showing on their home ground, the circumstances of this match make it an opportunity to blood some fringe players. Positive news from Celtic Park today is that Stuart Armstong has signed a new two year deal, so ending speculation that he would head to the English Premiership. Also, there are positive signals that Manchester City are willing to allow Patrick Roberts to return to Celtic on a further one-year loan. All in all, the mood is definitely upbeat around Celtic at the moment. For the second year in a row, Astana of Kazakhstan stand in the way of Celtic qualifying for the group stages of the Champions’ League. So the focus will be very much on getting a good result in the first leg at Celtic Park to take over there in six days time. It took an injury time penalty from Moussa Dembele to see the Bhoys through 3-2 against astana last season, after Astana had two players sent off during the second leg at Celtic Park. With our talisman in last season’s clash still out injured, along with central defenders Erik Sviatchenko and Dedryck Boyata, it will be for others to take the lead in bringing the Bhoys through this challenging test. Ahead of the game, Celtic boss Brendan Rodgers affirm that the Bhoys have learnt a lot since last season’s game, affirming that “ the players have built up is this ability to handle pressure and an ability, emotionally, how to deal with the big games". On Wednesday night, that ability will certainly be called upon. CMON THE BHOYS IN EUROPE!